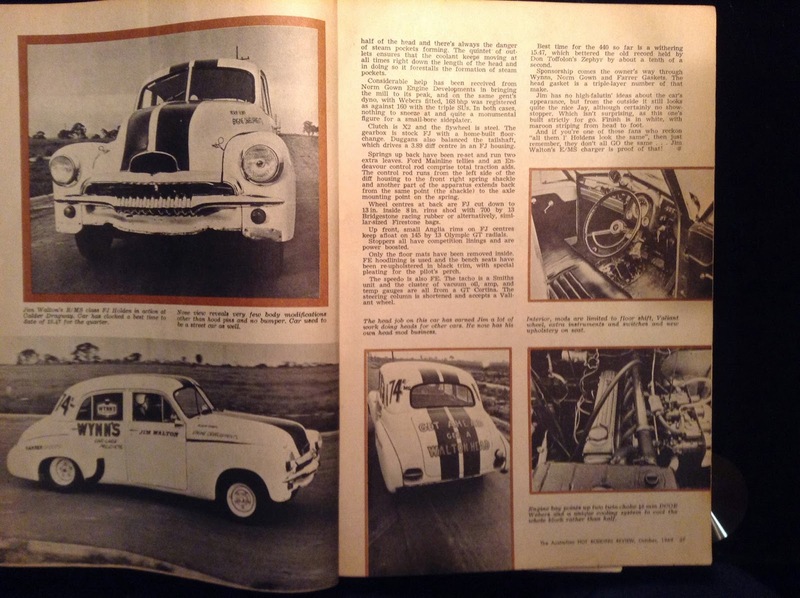 WHEN TALKING to Eric Worner about his '48 So-Cal Special (see page 52), we were amazed at how many historic circuit racing cars from that era have not only sirvived but are still racing. Things are quite different when it comes to drag cars from the 50s and 60s, as the vast majority have been wrecked, pulled apart or have simply rusted away. So when such a well-preserved, untouched car appears, it always gets our attention. And when the car in question is as wild as the Buchannan Si Gamble Crater-Critter, we just about lose our minds! The Crater-Critter's custodian is Kerry Park from Wodonga, Victoria. He has a fair-sized backyarc and has taken it upon himself to save whatever rusty, unloved FX--;.1s he can find, be they circuit, speedway, drag cars — even customs. I've had it about 10 years,' says Kerry. ‘Every thing was there except for the running gear. I talked to Bob Buchannan about it and he said ran a grey with a Spitfire smokescreen blower on it with triple Strombergs and a Scintilla magneto. They ran it on mrethanol with 1/8in jets. It hac a 3 1/8th bore, a nitrated crank and quite a bit taken off the head. The 'box and diff were stock. It was built to be totally lightweight, with holes drilled in it everywhere. Bob is a big bloke, Gamble was smaller, so he drove it. 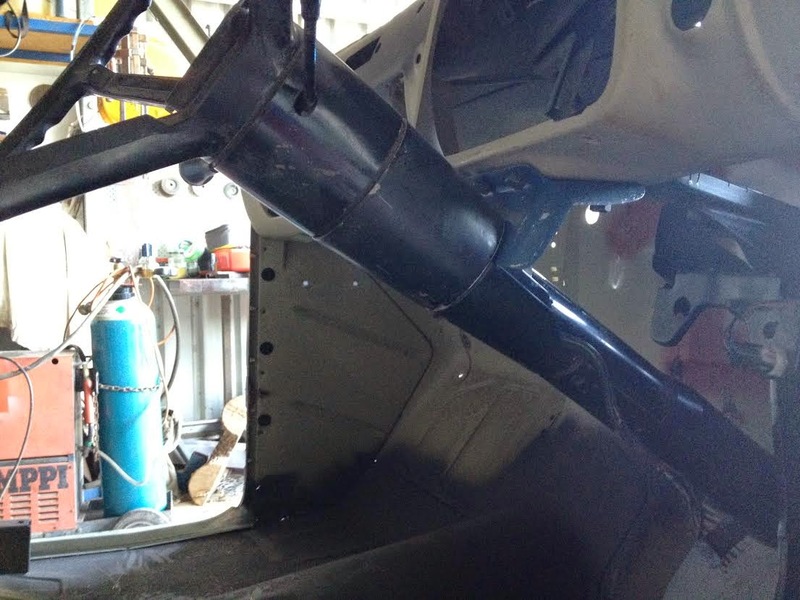 The roll cage was built from exhaust pipe — they just dummied up the inspection hole to fool the scrutineers. 'They made up a ladder-bar rear-end for it and put a Prefect axle up front. Bob said is ran a 12.10-sec pass at the '68 Nationals and was beaten in the finals by 0.01 sec." 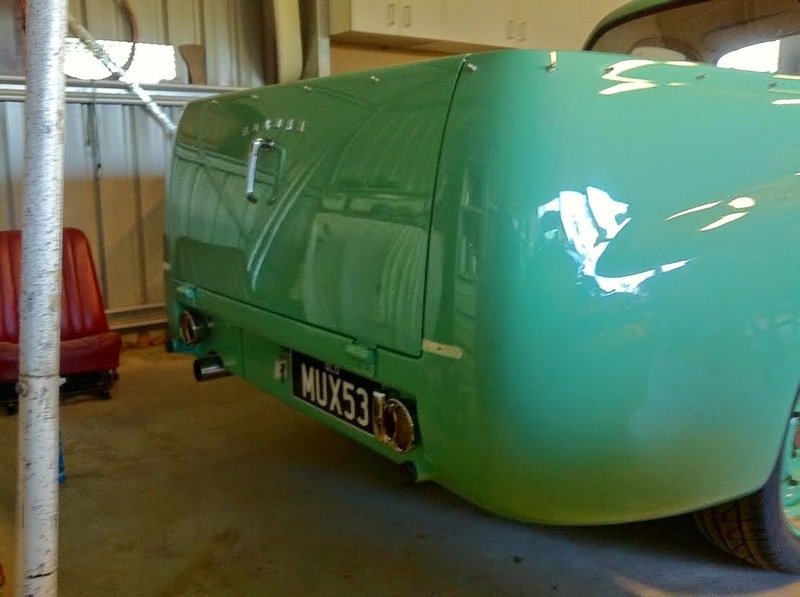 We reckon Kerry should be knighted for his work in preserving cars of this class. We'll take a closer look at the Critter and the rest of Kerry's collection in the pages of SM. Wildly modded FX "Crater Critter" runs sharp mauve lacquer work and read signwork - Looks the part! 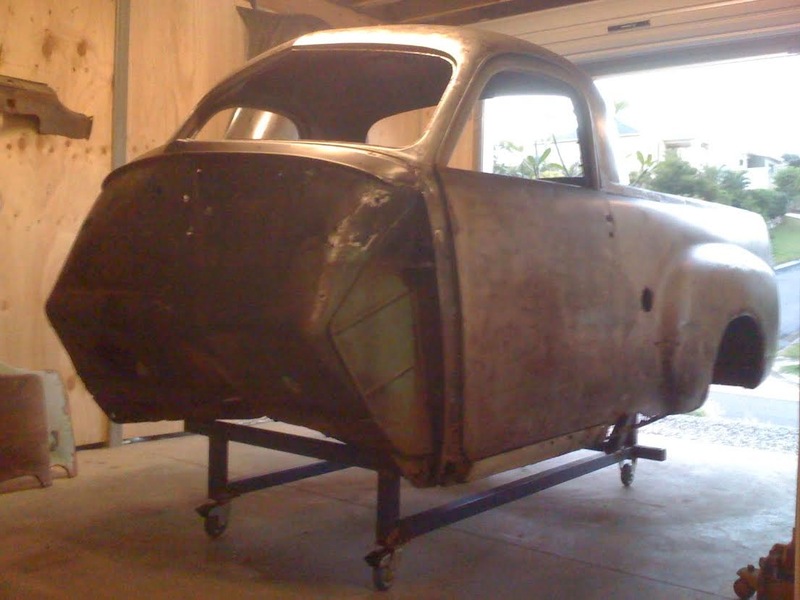 Chopped front fenders show Ford 10 front axels used. Mill used it's stock boor fitted with and FE head. Fuel tank nestled in the centre of the grille and supplies 115 octane juice via a 149 pump to triple Stromberg’s atop a Marshall K200 blower which runs 20 overdrive and 7lb boost. Manifold was homemade and includes 3in tube mounting the carbs to the blower, plumbing is finished in matt black paint and offers stark background when occasional icing up occurs. 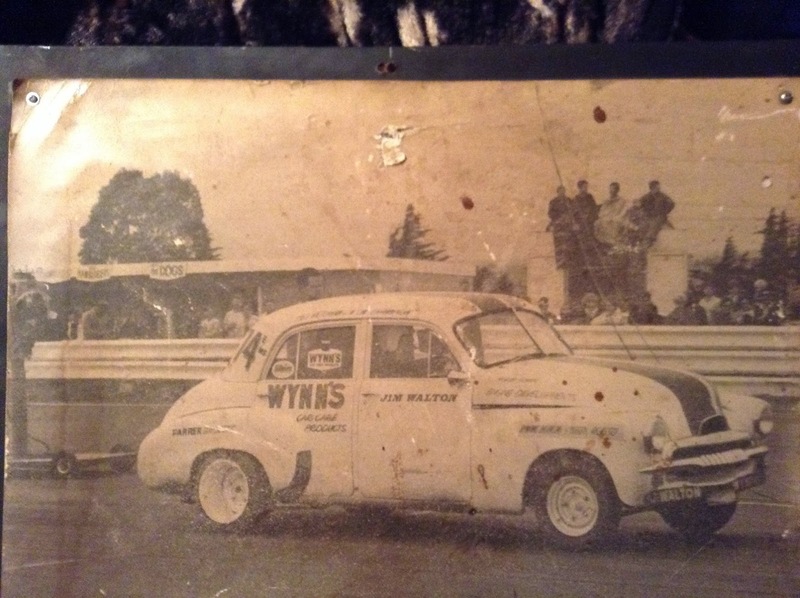 Jeffrey Morrall is seeking any information on his old FJ Racecar as pictured. As you can imagine the car has sentimental value and any information would be greatly appreciated. Pleae contact me on greyfc@gmail.com or in the facebook grey motor group. I can tell by the tone of the email that it's close and that Marks super excited. I think we all are. One day I hope to catch up with Mark and see this in person. 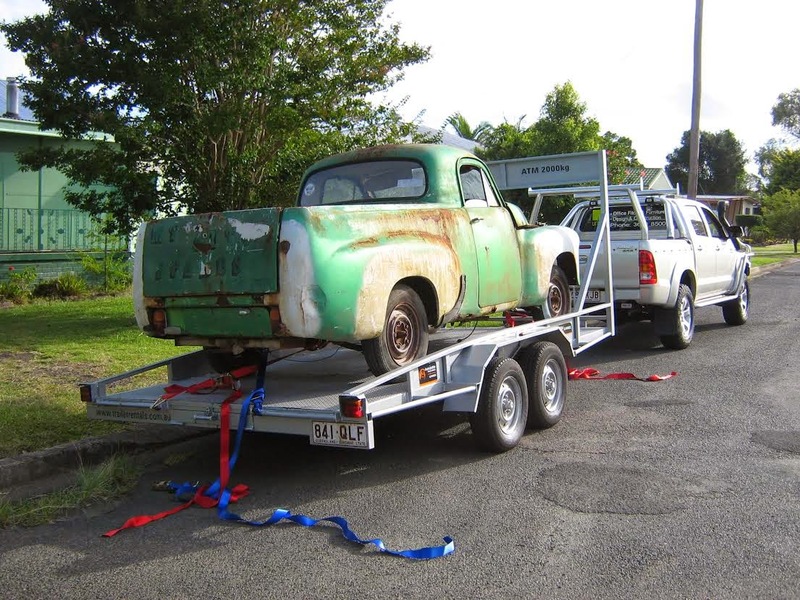 It should be in for rego soon and with a build like this I assume passing a roadworthy will be a breeze. equipment the widest in Australia. THE Holden engine Is particularly receptive to a modification and can be encouraged to produce almost 140 bhp without becoming too inflexible or unreliable for normal driving. 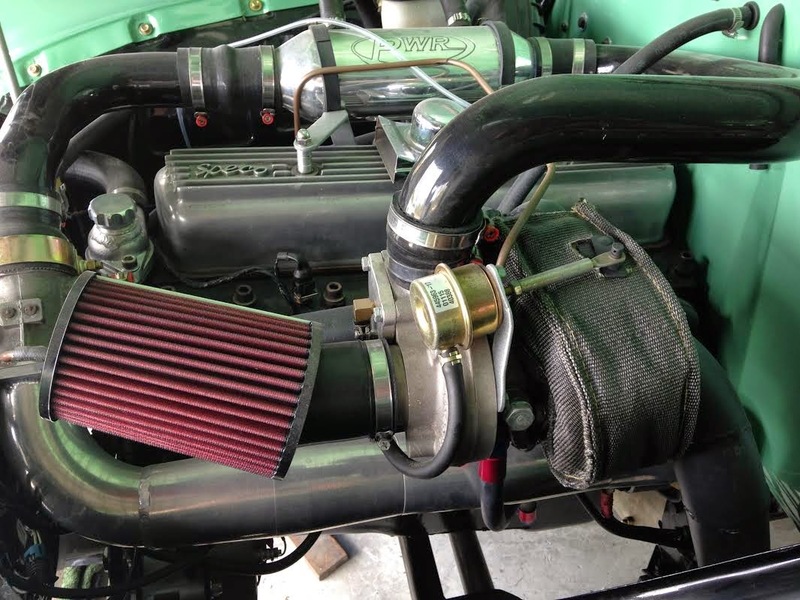 For most purposes, however, an output of 110 to 120 bhp Is usually considered adequate, and is not difficult to achieve. 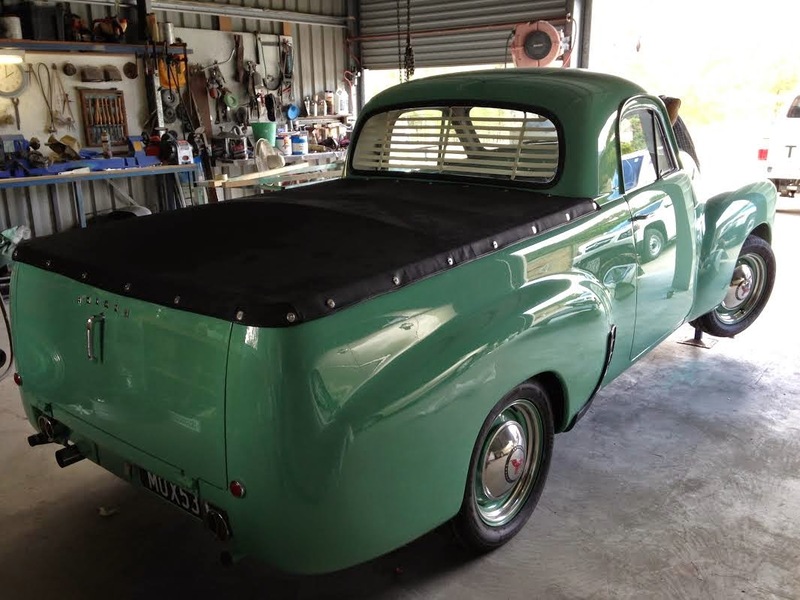 Most of the well-known hot-up specialists have wide experience with the Holden en-gine and there Is a vast array of speed equipment available. In fact there is so much equipment that the inexperienced motorist may not select the "bits" best suited to his needs. Thus it is advisable to plan the hot-up well beforehand. Engine modifying procedures generally fall into five categories — the cylinder block, cylinder head, valve train, inlet system and exhaust system. Engine modifying procedures generally fall into five categories — the cylinder block, cylinder head, valve train, inlet system and exhaust system. 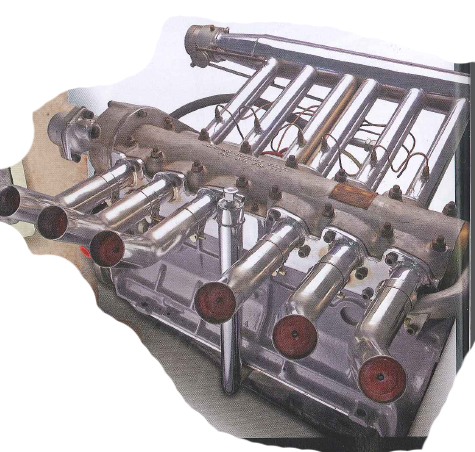 CYLINDER BLOCK: One of the most common modifications is to overbore the cylinders so the engine has significantly greater capacity than In ' stock condition. Although some are overbored to 34 In. (and a few have been taken beyond that), the maximum overbore for a street engine is 3 3/1.81n. This increases the capacity to 2448 cc and usually presents no problems, providing the block originally had 31116 in. bores (3.0826) — as in the FE, EJ and SIC models. The overbore to 3 3/18 in. can sometimes be accomplished with earlier model blocks (those originally having 31n. bores) but only if the cylinders have been cast correctly. Unless a small-bore block has been precisely cast the overbore limit is 3 1/8 in, or 2388 cc. In either case It costs about £8 for the over-bore, plus about f:26 for a set of suitable pistons, gudgeons and rings. Because special pistons have to be fitted anyway, it saves time and money to fit those that raise the compression — Instead of later machining the cylinder head to achieve the same result. For normal use, with ordinary super-grade petrol, the maximum compression ratio should be about 8.6 or 9.0 to 1. Having a higher compression ratio than this demands a diet of high-octane fuel. 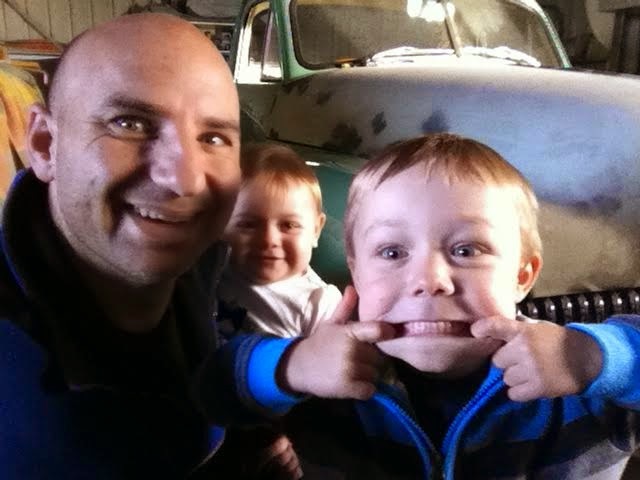 ( below ): Norm Beechy Speed Shop offers complete changeover bored out Holden engine. Motor costs £65, Speco twin carby manifold £13.15. Competition clutch £10, lightened flywheel £7, rockert cover £7.28. These items alone are quite a good start. Assuming that the modified engine is bound to be revved faster and worked harder than when standard, it is worthwhile installing steel supports for the two centre main-bearing caps. These cost about £2/10/-a pair, Naturally the crankshaft Journals must all be in good condition. It optimum acceleration is wanted the flywheel should be lightened. Most modifiers remove about six pounds of weight, a task costing about £4 a speed shops. Assuming_ that the modified engine is bound to be revved faster and worked harder than when standard, it is worthwhile installing steel supports for the two centre main-bearing caps. These cost about £2/10/-a pair, Naturally the crankshaft Journals must all be in good condition. It optimum acceleration is wanted the flywheel should be lightened. Most modifiers remove about six pounds of weight, a task costing about £4 a speed shops. valve keepers for competition Holden engines. changeover heads and other items. When an output of more than 90-100 bhp is wanted one should guard against clutch slip by installing a heavy-duty pressure plate. Some give N percent more pressure than the standard unit and cost £10 to £12. They are often supplied on an exchange basis, by which that the standard pressure plate is — in effect — traded-in on the heavy-duty plate. The crankshaft, flywheel and clutch should be dynamically balanced — especially if they have been modified — to insure against vibration and undesirable blow-ups. The connecting rods and pistons should also be 'balanced — against each other — so that each assembly weighs the same amount. CYLINDER. HEAD: Most speed equipment suppliers will arrange cylinder head modifications, sometimes on an exchange basis. The operations improve the ports and combustion chambers so the engine can breathe easier. Even when tho standard inlet and exhaust systems are retained a significant increase in brake horsepower comes from detailed work- on the cylinder head. 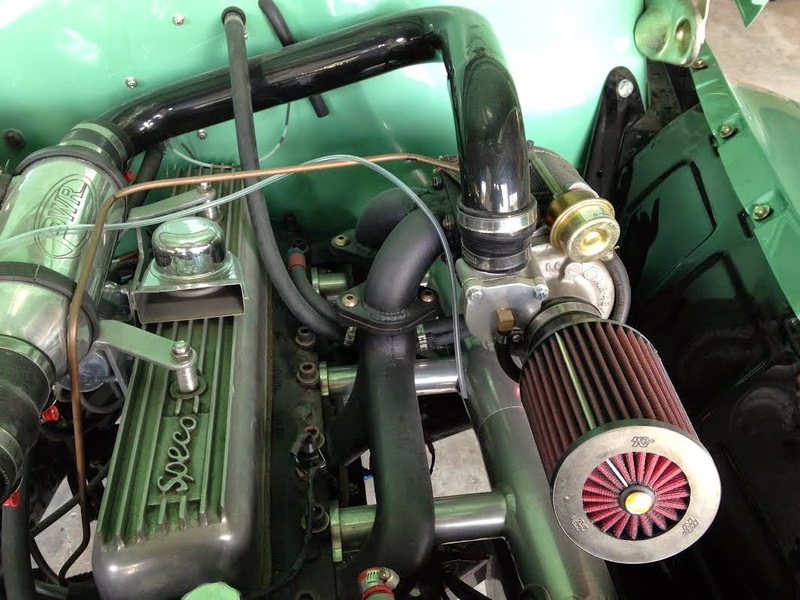 There is a limit, of course, on how much can be done to the head with its standard Inlet and exhaust systems and beyond that point one must use multiple carburettors and a free-flowing exhaust. Most firms can supply a range of stages of head modifications. The least expensive, costing about £20, sees the ports and combustion chambers lightly ground and polished to remove sharp edges and burrs. Subsequent stages involve detail alterations of the ports and chambers to promote better breathing and more efficient combustion. 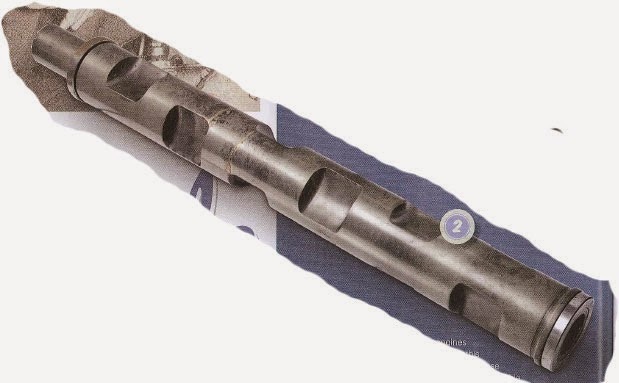 The inlet and exhaust manifolds — whether they be the original or special components — are ground so their ports align precisely with those in the head. When the engine Is to have multiple carburettors, the modifications may include installing larger diameter valves of high-quality material. The Repco Hi-Power conversion cylinder head is one way of increasing the engine's power and flexibility. The Hi-Power head bolts straight on to a standard short-black assembly with very few modifications. The head can be classed as a cross-•ow type because the exhaust ports are on the same side as the standard head but the inlets are on the other. 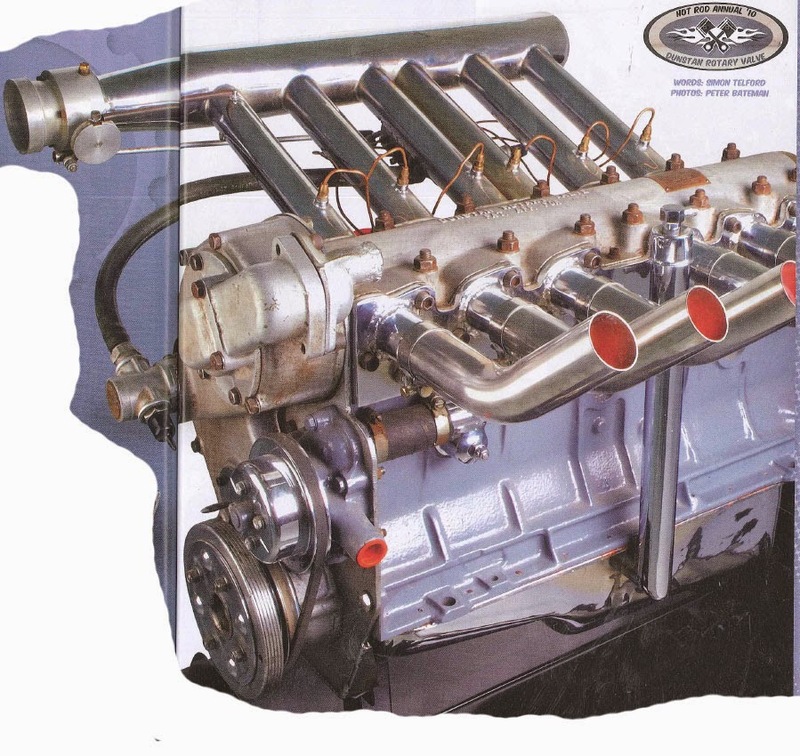 When fitting a Repco head and suitable exhaust manifold to the engine, the owner can virtually tailor the bhp figure by selecting from several camshaft and carburetion combinations. 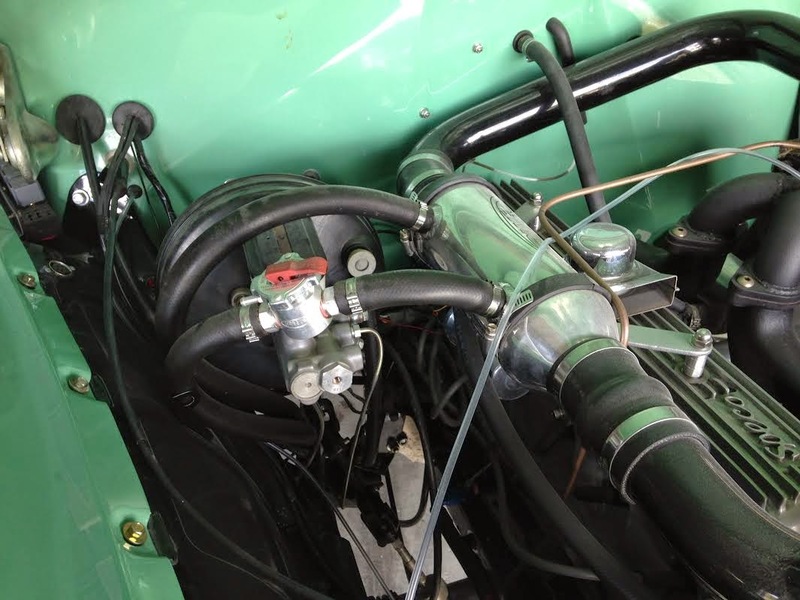 For example, if the standard cam is retained and two original-type carburettors are fitted 'the engine develops 90 bhp —which Repco regards as Stage T. In further stages a sports cam and Weber carburettors are installed. With 3 1/8 in. 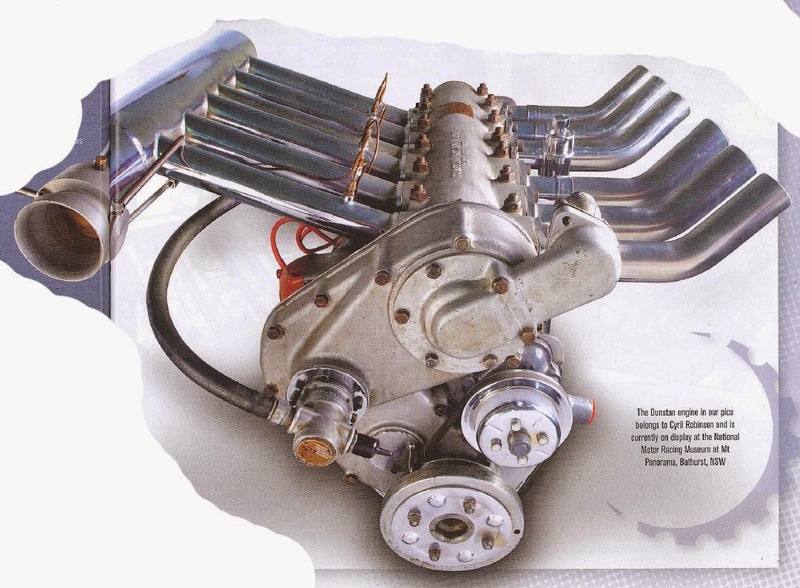 bores, 9.2 to 1 compression ratio, sports cam and two twin-throat downdraft Webers (which amounts to Stage 4A) the Repco-headed Holden de-livers 135 bhp and 145 pounds/feet of torque. Even in this guise It is smooth and flexible enough for normal day-to-day motoring. The Hi-Power kit com-prises the cylinder head — complete with 'valves, springs and rockers — lightweight pushrods, aluminium rocker cover, stub inlet manifolds and all necessary fittings. 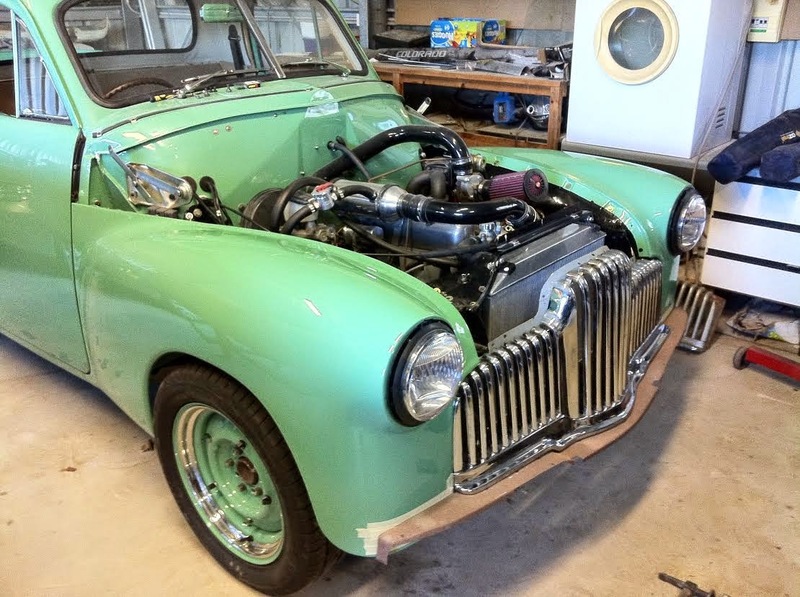 It costs £167 (plus tax) — to which must be added the cost of the carburettors and exhaust manifold. VALVE TRAIN: The first requirement is a re-placement gear for the camshaft. The standard fibre gear is prone to failure and is usually replaced with one of metal — either iron, steel or aluminium, costing between £7 and £10. Because the camshaft largely dictates the finished engine's performance characteristics careful modifying is needed. For models up to and including the FC model the stock camshaft had this valve timing: inlet opens 4 degrees before TDC and closes 40 degrees after BDC, exhaust opens 46 degrees before BDC and closes 6 degrees after TDC. With FB and later models the valve timing was: Inlet opens 6 degrees before TOO and closes 48 degrees after BDC, exhaust opens 62 degrees before BDC and closes 12 degrees after TDC. A typical sports Cam has timing of: Inlet opens 18 degrees before TDC and closes 58 degrees after BDC, exhaust opens 58 degrees before BDC and closes 18 degrees after TDC. The extent to which the valve timing can be altered from standard depends on the engine's breathing ability, compression ratio, and inlet and exhaust systems. It is a mistake to specify a, wild cam if the engine has only moderately effective carburation and exhaust systems. In the interests of flexibility it is batter for the camshaft to be on the mild side rather than being too extreme. Thus because valve timing is vital, it is wise to allow one of the many specialist firms to choose the grind that best suits the engine. Most firms charge between £9 and £12 to regrind a Holden camshaft, and some operate an exchange system. Next in line along the valve train are the cam-shaft followers, pushrods and valve caps. Lightweight replacements are available and these permit higher revolutions to be obtained — with springs of a given strength — than do the stock components. Sets of followers, pushrods and caps are priced at about E4/10/-, £71101- and £3 respectively. Inner valve springs, to raise the rpm at which valve bounce occurs, retail at about £2/10/- a set. Pre-1956 cylinder heads were fitted with Inlet valves of 1281 in. diameter while the exhausts were 1.219 in. Later model heads have the same diameter exhaust valves but the inlets are 1.346 in. For hot street engines the original size exhaust valve can be retained with the inlets being replaced by valves that are up to 1.826 in. diameter. This is the absolute limit — over * in. larger than standard — unless expensive alterations are made to the head. 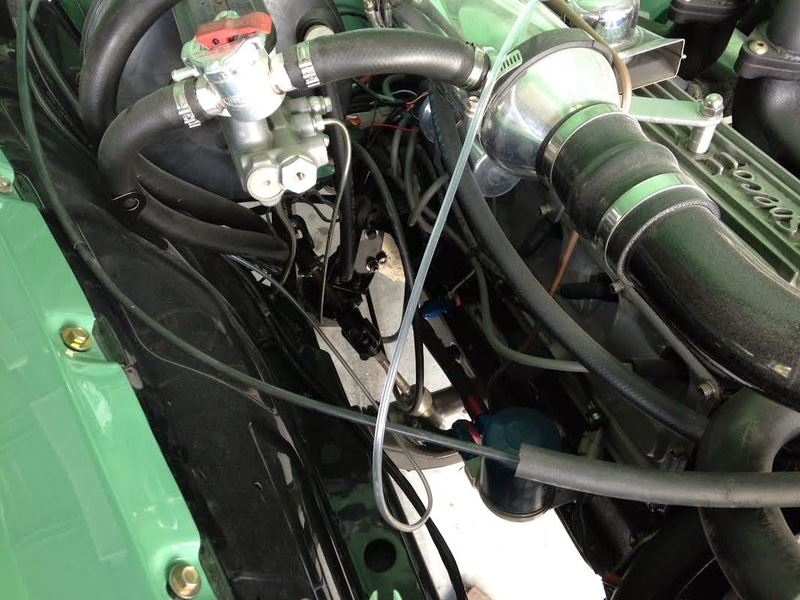 INLET SYSTEM: Several carburettor installations are employed by hot Holdens. The most popular of these are two or three original-type verbs, two or three SUB (either 1 ¼ s or 1 ½ s) and one or two downdraft twin-throat weber or Strombergs. There are manifolds and linkages available to suit all Installations with prices starting at £10 and rising to £20. Generally the carburettors are supplied separately. EXHAUST SYSTEM: several firms produce dual exhaust headers for prices ranging from £11 to £15/10/-. These are usually made in cast Iron but special extractor systems may be fabricated from tube, to order. A complete dual system, with headers, pipes and sports muffler, costs about £27. 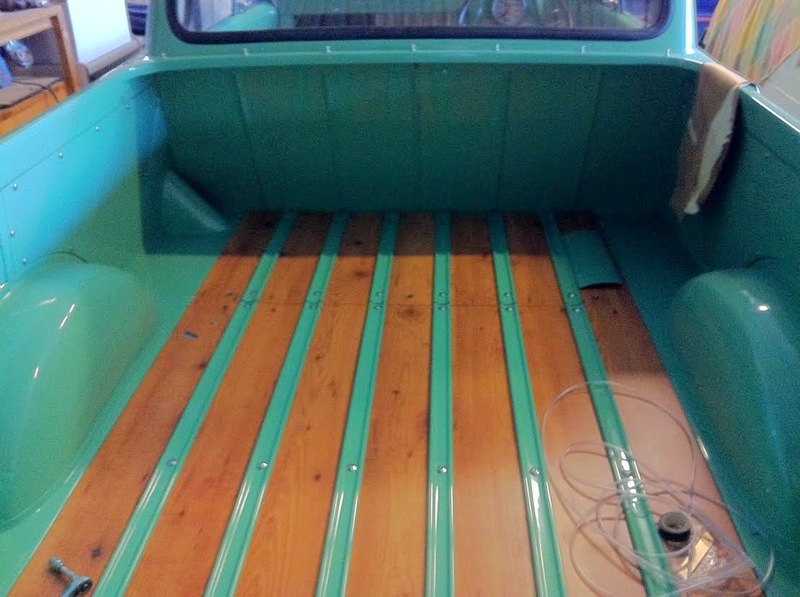 There are also sports mufflers and over-size pipes to fit the original system. That almost takes care of the engine but there are a few more points to be considered. For instance, the standard distributor's advance curve is unsatisfactory if the engine is modified comprehensively. Speed equipment suppliers can arrange to have the advance curve altered to suit the new requirements, at a cost of about £3. Sometimes, when an engine has been thoroughly worked over, it may be necessary to install an oil cooler to help keep the temperature at a safe level. These cost about £15 complete with pipes and fittings. And don't forget sports-type air cleaners at between £2 and £4 each, for the engine will not last as long as it should if it is free to inhale dusty air. Modifying the engine is only a part of building a fast car. 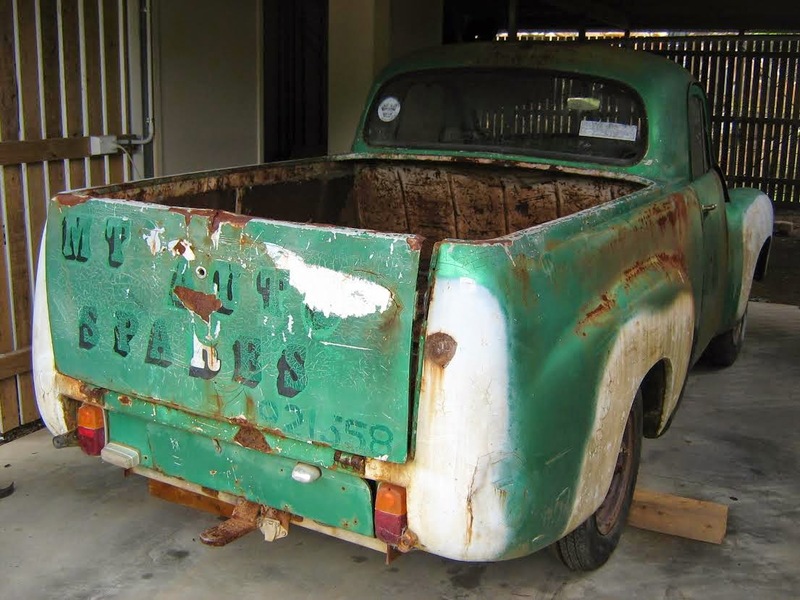 It has to be roadworthy, too. There are a number of ways in which the roadholding and stability can be improved. The ideal solution to most brake problems would be to fit discs at the front wheels as the owners of some racing Hoidens have — but this is an expensive operation. Dunlop calipers and discs are available but they have to be individually adapted, for conversion kits are not yet produced. Repoo's transversely-finned brake drums, for all models through to and including the FT, are a satisfactory alternative to discs for most normal motoring purposes. The Repco drums are more fade-resistant than the standard components, because the fins assist cooling, and cost g6/81- each. The next step is to fit heavy-duty brake linings at about £4 a set. To gain the full benefit of the competition linings it Is some-times necessary to Incorporate servo-assistance so that brake pedal pressure does not become too high. job runs from axel housing to sub frame. 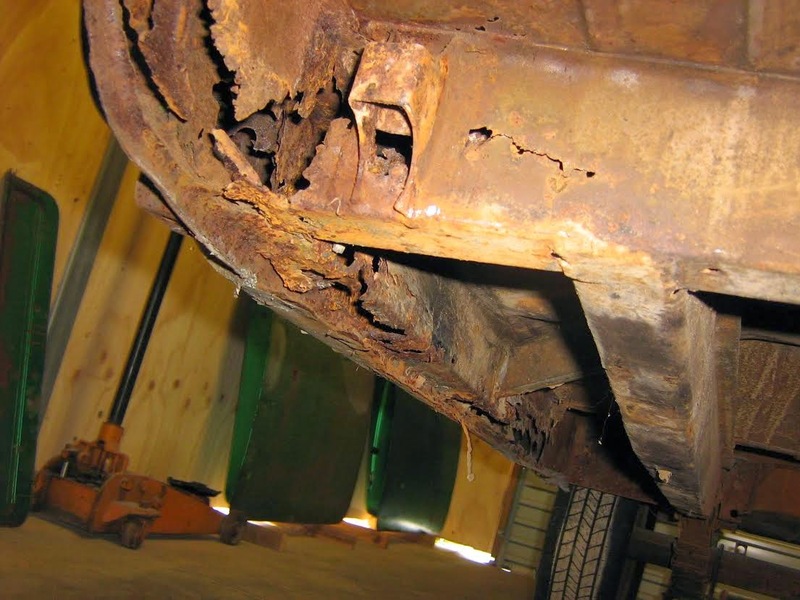 Drilling the backing plates and fitting air-scoops is not recommended for street cars, for dust and grit enters and accumulates, causing premature wear of the linings and drums. Lowering kits can be supplied for an models, with the maximum practical reduction for street machines being about 1.5 in. 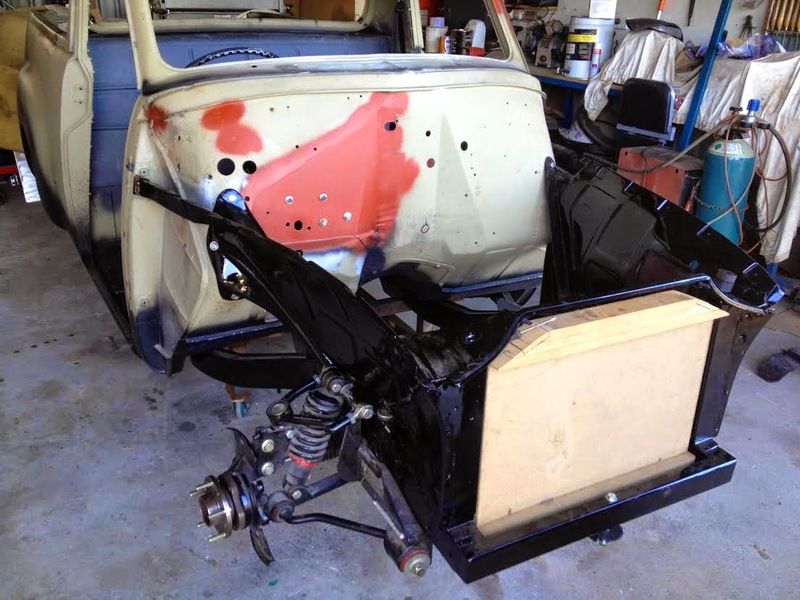 Blocks are installed between the rear springs and the axle, while the front springs are shortened either by cutting a coil off on each side or by compressing the springs so they are shorter than usual. After the car. has been lowered it is vital that the front suspension be re-aligned so the esistor. camber and steering geometry are to original sped-fleations. When the existing dampers are in poor condition, or a lot of hard driving is intended, It is ad-visable to fit heavy duty shock absorbers — at £22 a set of four. 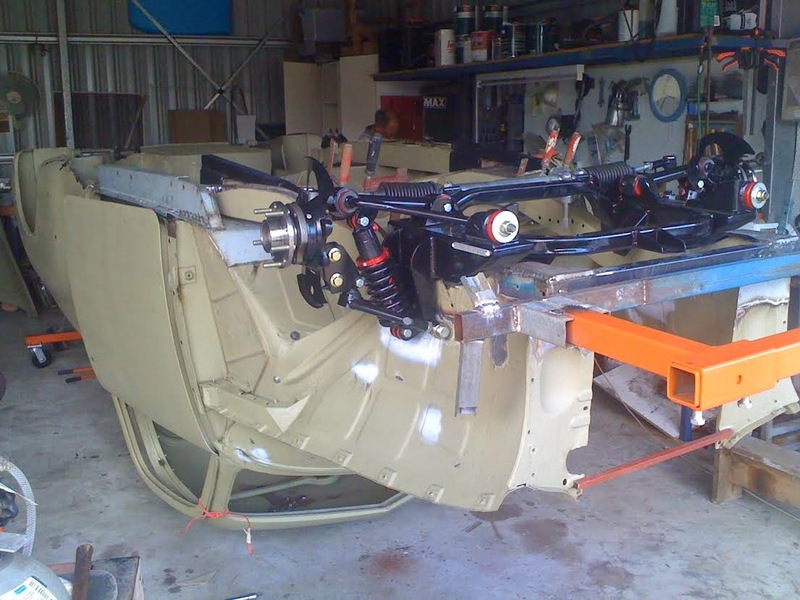 Axle tramp on acceleration and cornering can be minimised with torque rods fitted between the axle easing and forward spring mounts, while a Panhard rod — installed transversely between the axle casing and chassis sub-frame — helps locate the axle positively and decreases body sway. More responsive, though slightly heavier, steering is obtained with a steering conversion. This reduces the steering to approximately two turn’s lock-to-lock. The necessary modifications cost £121101- including fitting and re-alignment of the front wheels. The required components can also be supplied In kit form. Anyone modifying a Bolden should decide at the outset whether the car is to be raced or retained solely for street use. This will determine the extent of the modifications and the budget limits. Also, some modifications make a .Holden ineligible for Appendix J racing — such as fitting a Repeo conversion head. All these things must be considered. Additionally, one must ensure that the engine Is In good enough condition to withstand modifying. It Is pointless to work over the top end of a motor without making sure that the bottom end is robust enough to take the extra power. Tyres to match the extra performance are also necessary, and most of the high-speed Continental tyres are available in Holden rim sizes. Most of this modifying equipment can be bought over the counter. There are a number of Australian sources for it. Speed equipment shops have mushroomed In this country in the last three to four years. The logical explanation for this boom lies in the increasing Interest In motor racing and the improving economic status of the younger members of the community. Be that as it may, it is notable that the bigger shops — Eddie Thomas, Peter Manton/Monaro Motors, Sydney Speed Shop, Lynx Engineering, Prank Klein*, John Malcolm Motors, SAS and others — are doing more and more business every week. New shops are opening, too. Sydney's Lancaster Motors tentatively opened a small equipment shop in August, and were so impressed by the reaction that they started enlarging it immediately. Now they carry not only a big range of bits for their normal .BMC franchise, but also much equipment for other makes. 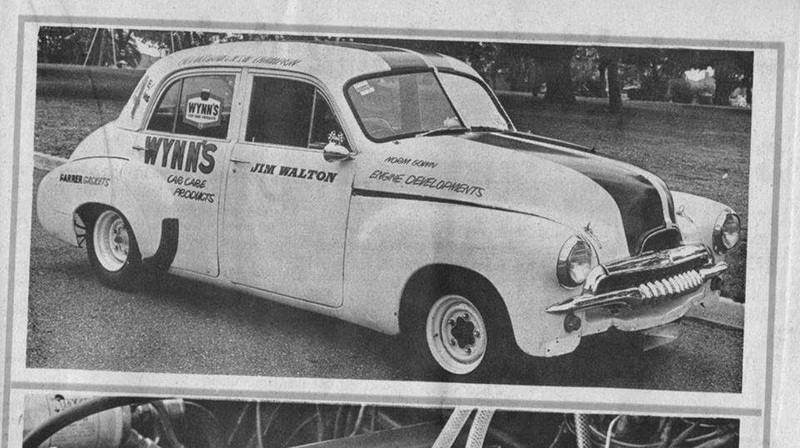 A RISING star among the early-model Holden brigade at Calder is 23-year-old Jim Walton, of Kenn Park, Victoria. He's taken his one-time road-going FJ and turned it into a class-winner and record-breaker to boot! Although not invincible in Its class, E/Modiified Stock, it does have the distinction of being the fastest to date at the Calder strip. 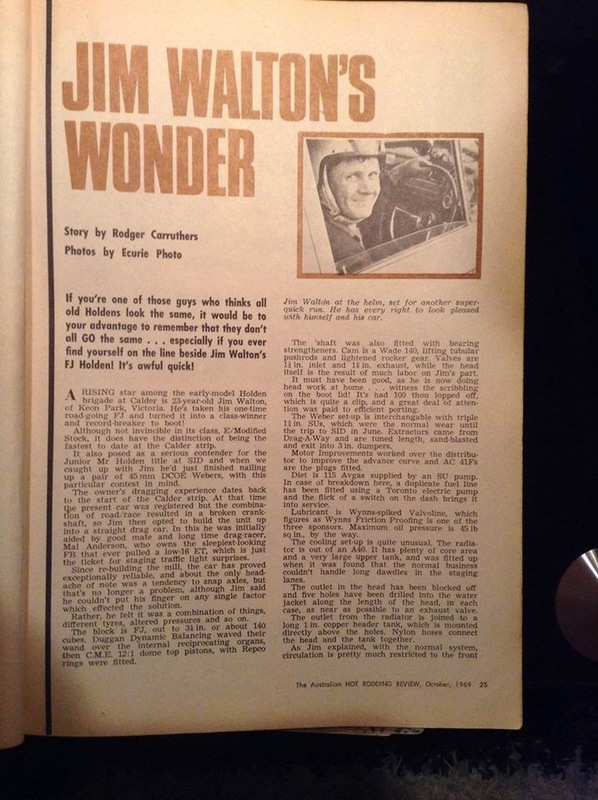 It also posed as a serious contender for the Junior Mr Holden title at SID and when we caught up with Jim he'd just finished nailing up a pair of 45mm DCOE Webers, with this particular contest in mind. The owner's dragging experience dates back to the start of the Calder strip. 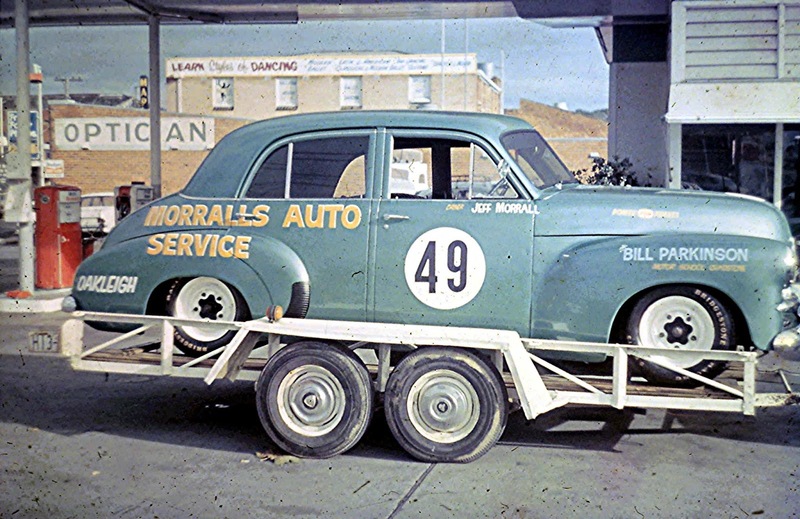 At that time the present car was registered but the combination of road/race resulted in a broken crank-shaft, so Jim then opted to build the unit up into a straight drag car. In this he was initially aided by good mate and long time drag-racer, Mal Anderson, who owns the sleepiest-looking FJ that ever pulled a low-16 ET, which is just the ticket for staging traffic light surprises. Since re-building the mill, the car has proved exceptionally reliable, and 'about the only head-ache of note was a tendency to snap axles. Rather, he felt it was a combination of things, different tyres, altered pressures and so on. The block is F1, out to 3 3/16 in. or about 140 cubes. Duggan Dramic Balancing waved their Wand over the internal reciprocating organs, then C.M.E. 12:1 dome top pistons, with Repro rings were titled. The 'shalt was also fitted with bearing strengtheners. 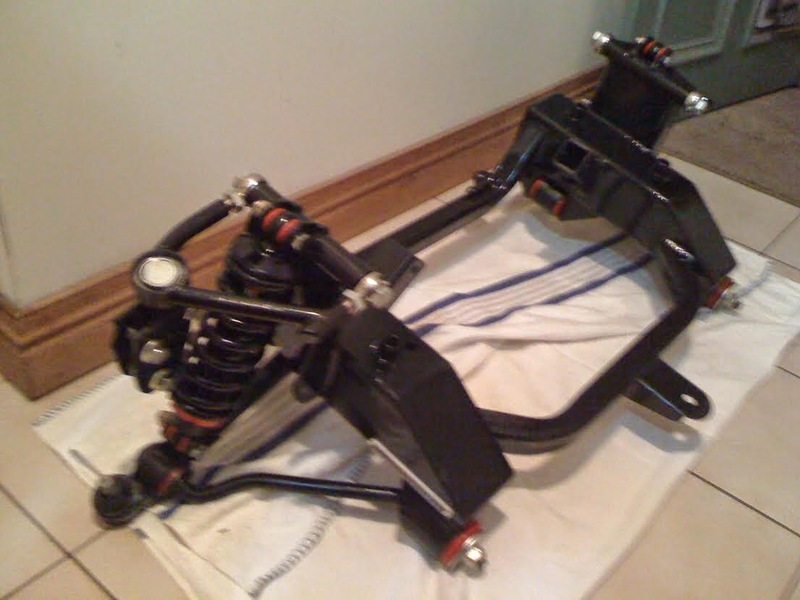 Cam is a Wade 140, lifting tubular pushrods and lightened rocker gear. Valves are 14 In. Inlet and 19 in. exhaust, while the head itself is the result of much labor on Jim's part. It must have been good, as he is now doing head work at home . . . witness the scribbling on the boot lid! It's had 100 thou lopped off, which is quite a clip, and a great deal of attention was paid to efficient porting. The Weber set-up is interchangeable with triple I ¾ in. SUs, which were the normal wear until the trip to SID In June. Extractors came from Drag-A-Way and are tuned length, sand-blasted and exit into Sin. dumpers. Motor Improvements worked over the distributor to improve the advance curve and AC 41Fs are the plugs fitted. Diet is 115 Avgas supplied by an SU pump. In case of breakdown here, a duplicate fuel line has been fitted using a Toronto electric pump and the nick of a switch on the dash brings it into service. Lubricant is Wynn-spiked Valvoline, which figures as Wynns Friction Proofing is one of the three sponsors. Maximum on pressure is 45 lb se in.by the way the cooling set-up is quite unusual. The radiator is out of an MO. 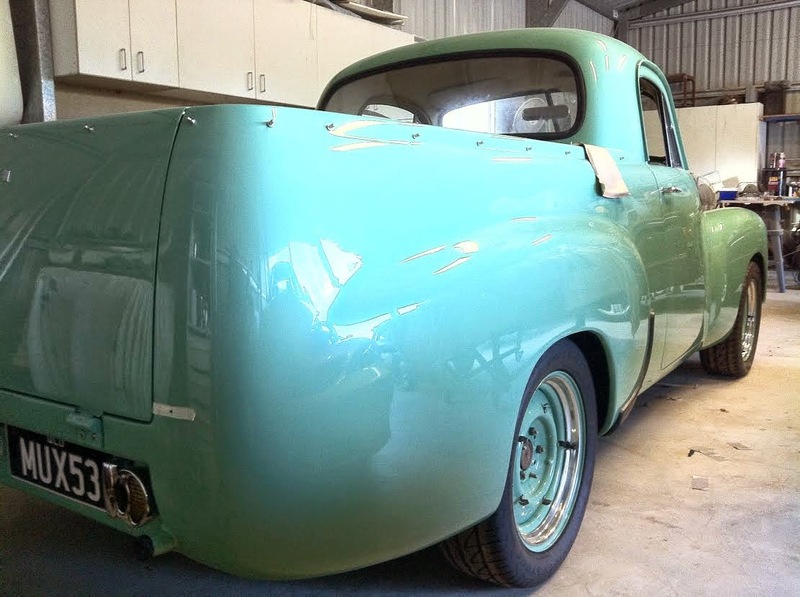 It has plenty of core area and a very large upper tank, and was fitted up when it was found that the normal business couldn't handle long idles in the staging lanes….. jacket along the length of the head, In each case, as near as possible to an exhaust valve. The outlet from the radiator is joined to a long I In. copper header tank, which is mounted directly above the boles. Nylon hoses connect the head and the tank together. As Jim explained, with the normal system, circulation is pretty much restricted to the front half of the head and there's always the danger of steam pockets forming. The quintet of out-lets ensures that the coolant keeps moving at all times right down the length of the head and In doing so it forestalls the formation of steam pockets. 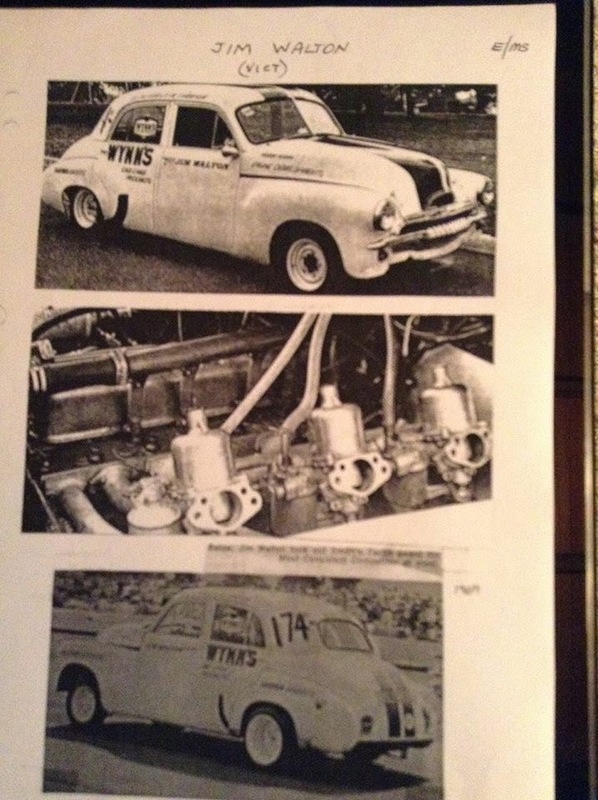 Considerable help has been received from Norm Gown Engine Developments in bringing the milt to It’s peak, and on the same gent's dyno, with Webers fitted; 168bhp was registered as against 160 with the triple SUS. In both cases, nothing to sneeze at and quite a monumental figure for a small-bore sideplater. Clutch is X2 and the flywheel is steel. 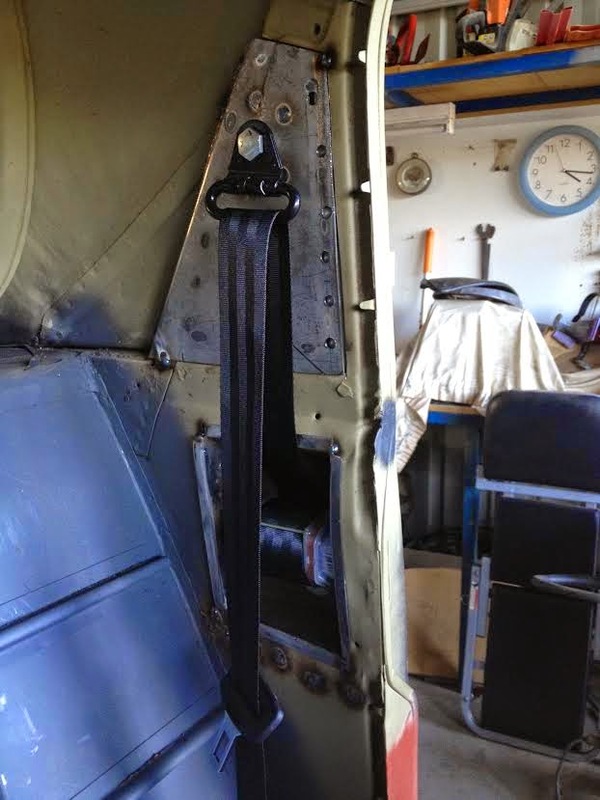 The gearbox is stock FS with a home-built floor-change. Duggans also balanced the tailshait, which drives a 3.89 dill centre In an FS housing. Springs up back have been re-set and run two extra leaves. Ford Mainline tellies and an En-deavour control rod comprise total traction aids. The control rod runs from the left side of the cliff housing to the front right spring shackle and another pert of the apparatus extends back from the same point (the shackle) to the axle mounting point on the spring. Wheel centres at back are P3 cut down to 13in. Inside Sin, rims shod with 700 by 13 Bridgestone racing rubber or alternatively, similar-sized Firestone bags. Up front, small Anglia rims on FY centres keep afloat on 145 by 13 Olympic GT radials. Stoppers all have competition linings and are power boosted. Only the floor mats have been removed inside. 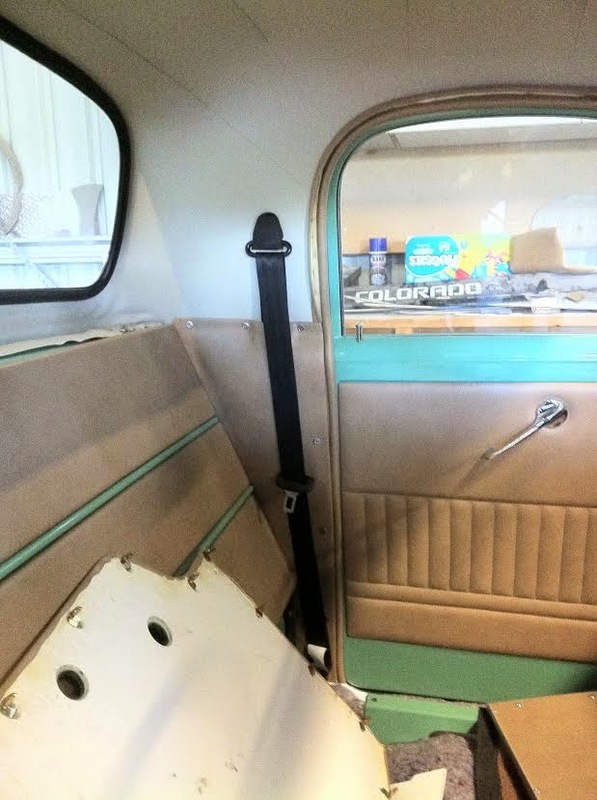 FE hoodlinng is used and the bench seats have been re-upholstered in black trim, with special pleating for the pilot's perch. The speedo is also FE. The tacho is a Smiths unit and the cluster of vacuum oil, amp, and temp gauges are all from a GT Cortina. The steering column is shortened and accepts a Valiant wheel. To follow on from this I recently caught up with Jim ( January 2015 ) and found that it actualyl ran faster! "It actually ended up making 179hp and 174 ft lbs and 14.9 secs..grey wowie" says Jim. Mark Riek, the director/project manager of Benchmark Commercial Building Services in Brisbane QLD, has done up several cars over the past 20 years including: a HR Holden Premier, a VH SL/E Commodore (was a 253 stroked to 307), an LH Torana and a Toyota Hilux mini truck just to name a few; a wide range of vehicles. 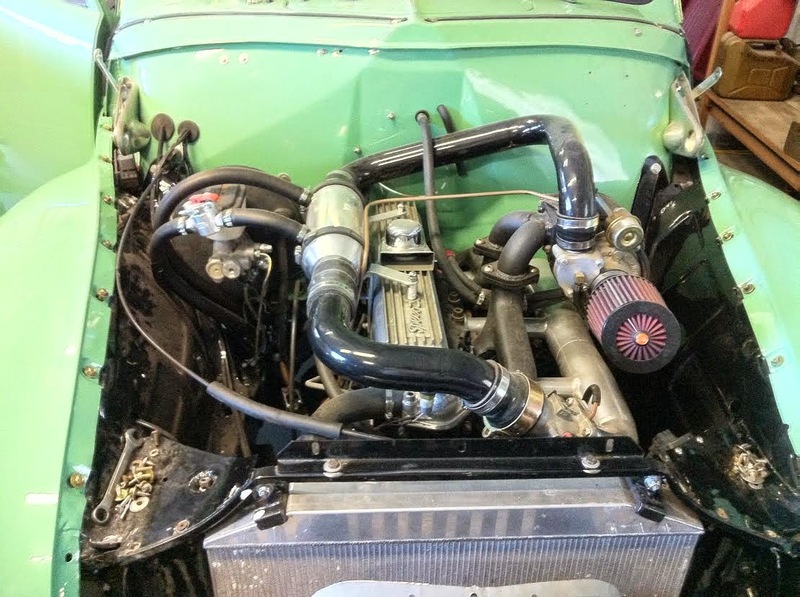 After a run of fast or modified cars, Mark made a switch to 4WDs for a few years until he followed an FJ Ute out on the road one day and the project itch returned. So began the search for what was originally going to be an FJ ute. 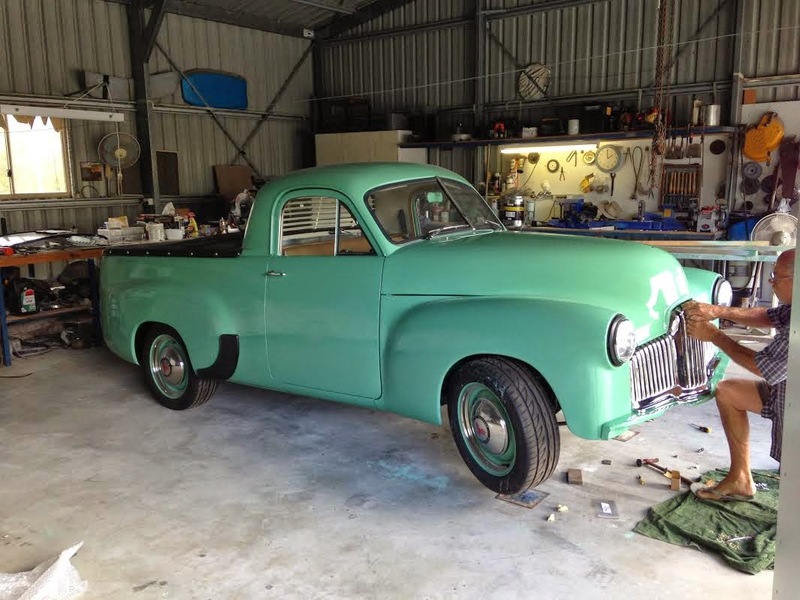 However, when this FX presented itself, it was too good to pass up and besides, there was something special about owning one of the first Holden Utes. 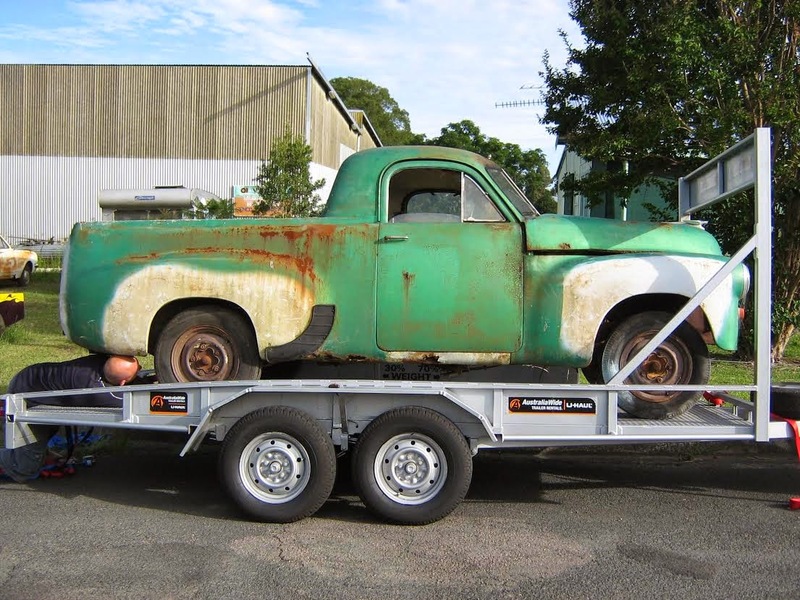 “I see it that I saved an Aussie icon from a future of rusting away in a paddock somewhere”, says Mark. As with many of us the ‘old man’ plays a big part. 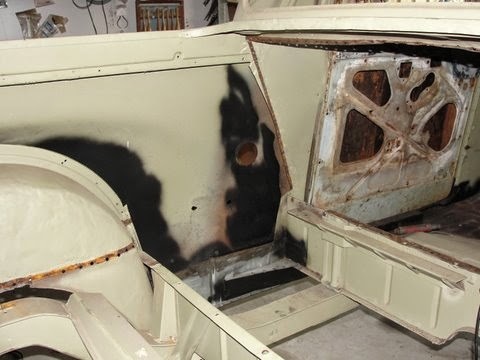 Mark’s previous cars had a helping hand from Marks father John Riek: “As for the body work I have to give full credit to my dad. Without his help the ute would still be sitting under the house today. 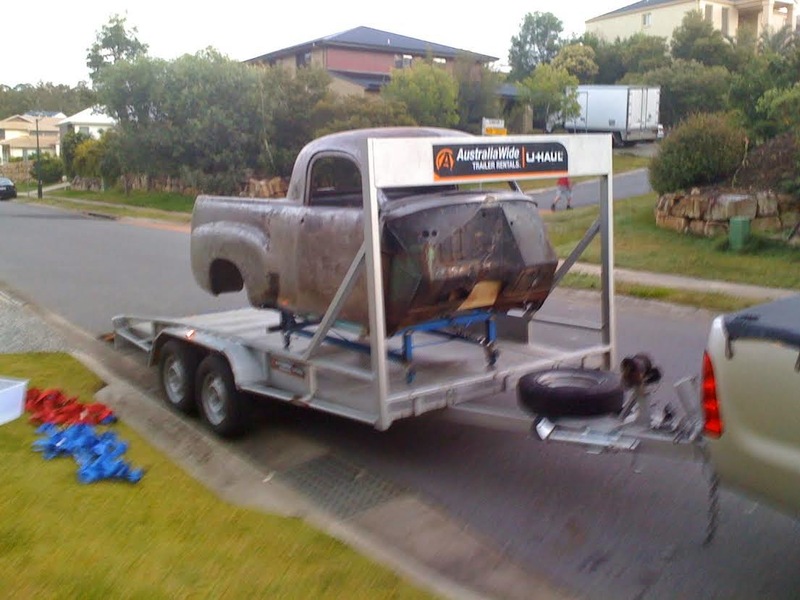 My original intention, when I bought the ute, was to carry out the rust repairs myself and get my dad to assist me but shortly after buying the ute my wife fell pregnant and then we sold house and bought a 100 year old workers cottage and we started renovating it, then we had our second child then I started my own business, meanwhile the ute was trailered up to my dad's place and he started work on it for me and it hasn't left there since. I don't think it will leave there now until it's registered (which will hopefully be soon)”. As for the family; “Does my wife love the ute? 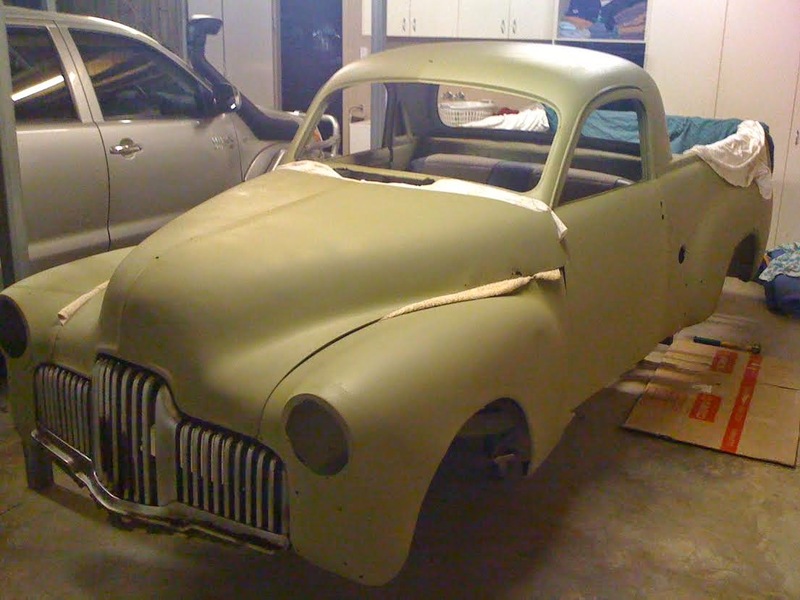 Now, yes, but when I bought it, no, but as it's nearing completion she is calling it her Friday cruise car. Lily's not a massive car fan (even though I did take her to the drags on our first date, something I'll never live down).” Mark may never live that down but the story lives on and I’m sure will be passed through the generations. Below Mark his son Benji and daughter Bessie. 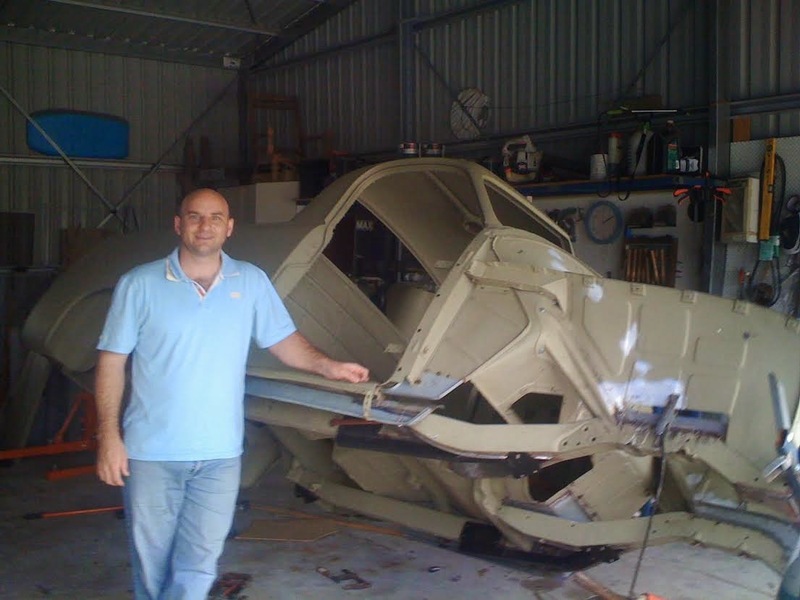 The grey motor bug didn't really bite until the project had progressed for a while. 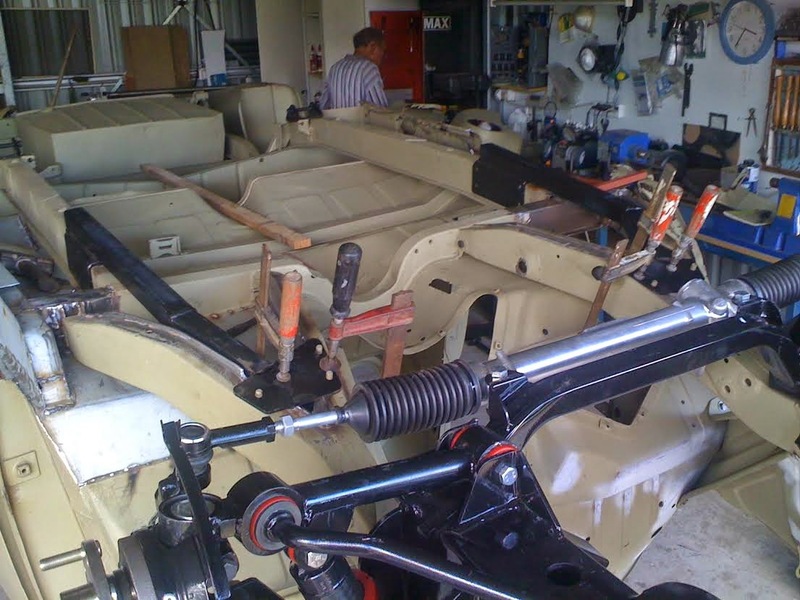 “I think my dad's traditional approach to restoring old cars started rubbing off on me, even if I wasn't going to compromise on upgraded driveline components like suspension and steering etc. 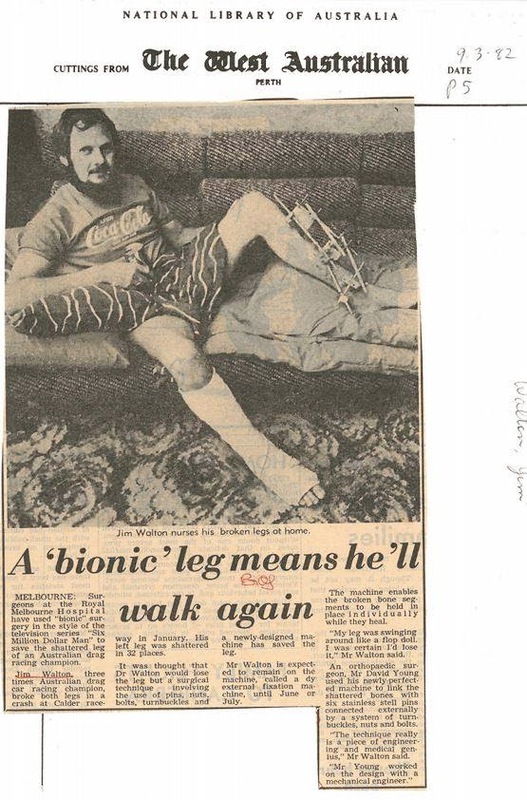 My dad introduced me to Geoff Scott. 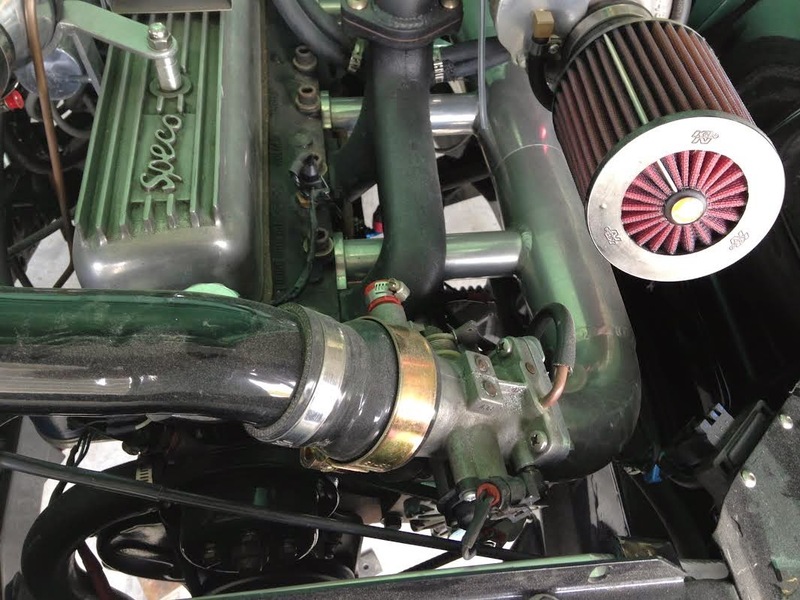 Geoff had only just recently completed a heavily worked grey motor that was to go in a circuit race car running methanol injection and he said if we whack a turbo on it, it would be good for around 250rwhp. I had no idea that these old grey motors were good for that kind of power and the more I thought about it the more I loved the idea of keeping the original motor in the FX. It's almost rare to see an FX or FJ with a grey motor these days and even rarer to see one so extensively modified, it should shock (and impress) a few people. I love the FX; such a mean looking car. I’ve always thought they were a fine vehicle even with that tiny little 132ci 60hp grey motor. When I picked up this beauty in 2009 it was only $1000 from eBay. Times have changed and this would fetch quite a bit more these days. I knew she needed some work but I wanted to see her happy again. At first I was considering a small V8 or commo V6 conversion but my ute deserved better than that. Modernising the steering and brakes are important and required but taking out her heart, the grey, just didn’t feel right. In the end I decide a turbo grey would keep her running the original engine but with a modern twist. Something different, something people will appreciate... and appreciate we do. There is just something about the grey motor and a turbo one is just super rare. I spent a total of 5 ½ years getting her to the point she is now. Started and running and it sounds mean.” (see video). “I am hoping for around 250rwhp on about 12 pound boost, that's the maximum boost we feel comfortable running. Geoff thinks it will make those figures. It will be dyno tuned before it's registered so we'll soon see”, says Mark. As you can see, while the motor has received huge amounts of attention, so has the body. 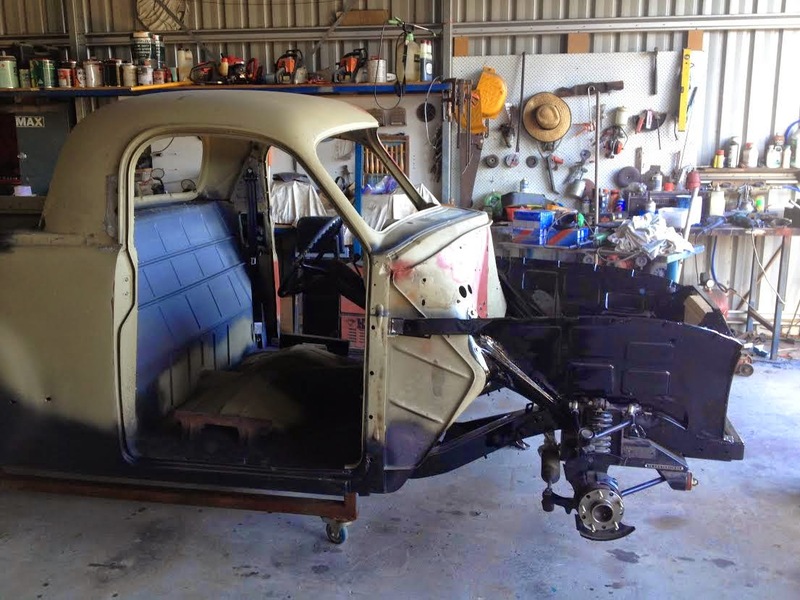 Fully restored back to bare metal, all rust repairs, chassis kit, 16” wheels and a full rack and pinion front end. This car will not only look the part, sound the part but will also drive and handle the part. 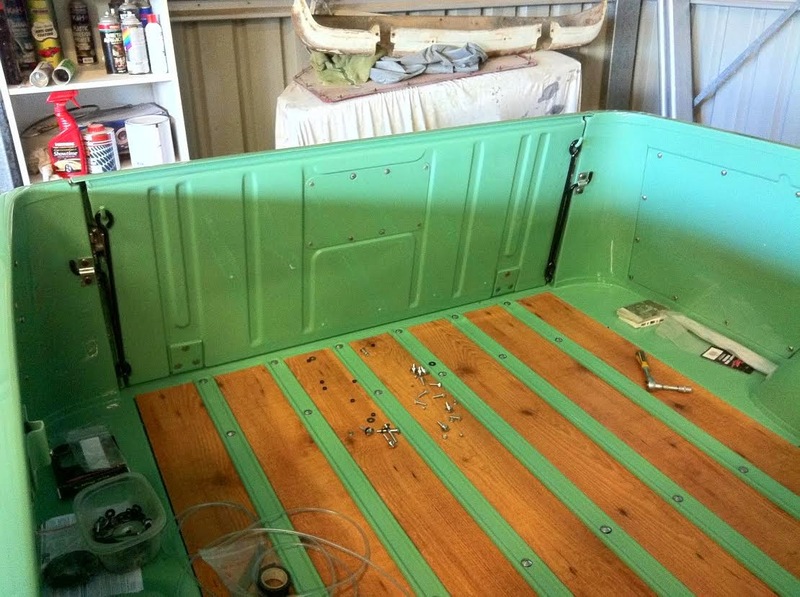 Mark tells me “Although the ute wasn't initially built for the show scene, its finish and quality is far beyond what I was hoping for but, then again, my dad is a perfectionist so it's little wonder. It will be my weekend cruise car and I do want to share what dad and I have created so a show here or there is inevitable”. I agree and a vehicle this well presented should be shown off and appreciated. Well done on something unique and staying true to the heritage of the grey motor and not going red or V8. Fully fabricated custom EFI fuel rail.